Can’t believe April is almost over. Time for another Friday Ice Linky party hosted by Vintiquities Workshop. Check it out for some amazing creations using Ice Resin. I made this necklace by first adding Iced Enamels into the bezel. 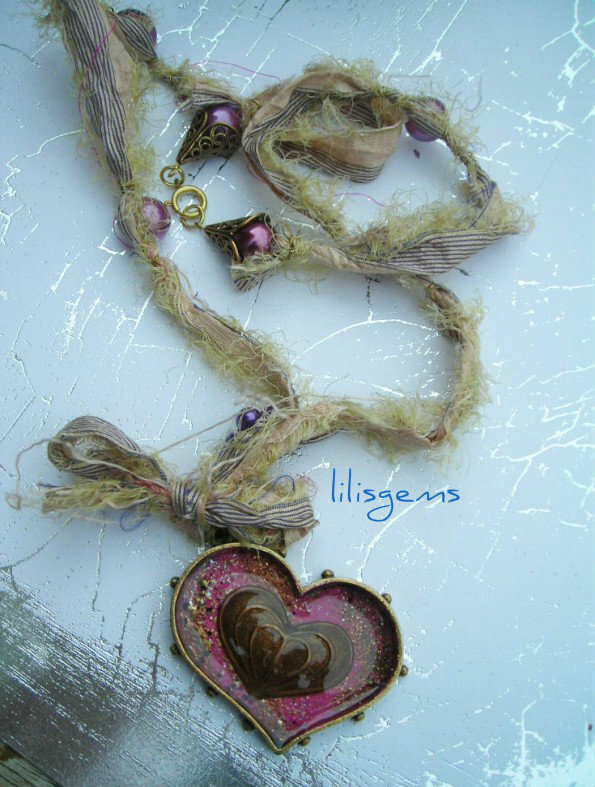 Added the Ice Resin and then a vintage brass heart and then some more Ice Resin. Instead of using chain I used some sari ribbon. Vintage beads were randomly wired to the sari ribbon. Having so much fun with Ice Resin and Iced Enamels!